During this time he was tonsured a monk and received the small schema as a fifth year student. The tonsuring was done by Bishop Stefan of Dalmatia on the eve of the school Slava of the Holy Three Hierarchs on February 11, 1975. At the Divine Liturgy on February 12th he was ordained a deacon by Bishop Stefan. On February 13th, he was ordained a priest. He entered the Moscow Theological Academy in 1975 where he graduated in 1979. From October 1980 to April 1981, he served in the Diocese of Zvornik-Tuzla as secretary of the Executive Board. He was also administrator of two parishes. On the decision of the Holy Synod of Bishops he was appointed as lecturer of the Holy Three Hierarchs Seminary in 1983 for two years. With the decision of His Holiness Patriarch Pavle, he was appointed on July 31, 1997 as auxiliary in the administration of the Diocese of America and Canada – New Gracanica Metropolitanate. 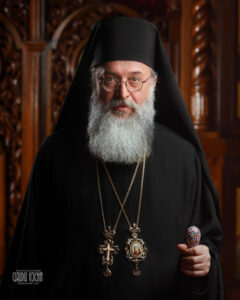 On May 23, 1998, he was appointed as Administrator of the Diocese of America and Canada -New Gracanica Metropolitanate, while on May 5, 1999, he was elected at the Holy Assembly of Bishops of the Serbian Orthodox Church, Sabor, as Bishop of the Diocese of America and Canada, New Gracanica Metropolitanate. This fulfilled the request of the Diocesan Council and the Ecclesiastical Court as well as the desire of the clergy and delegates of the Seventh Church National Sabor held on April 23 – 24, 1999.